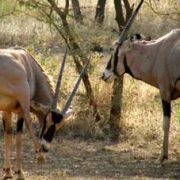 Tanzania Budget Camping safari for to Serengeti National Park and Ngorongoro Crater is an unbelievable adventure for persons looking for a short adventurous trip in Northern Tanzania!. 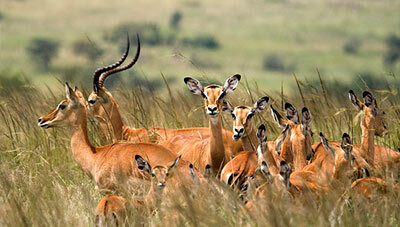 We have a 4 days Camping safari in Tanzania that is not only affordable but also full of fun. 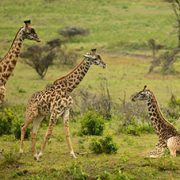 Starting from Arusha town the base town for safaris in northern Tanzania; this four days adventure package takes you to the most famous and most exciting safari parks of Tanzania including Serengeti National Park and the Ngorongoro Crater which is also often referred to as the 8th wonder of the world. Like all our camping packages, during this 4 days Tanzania budget camping safari we will provide all the camping gear, that you will need, with an exception of a sleeping bag. 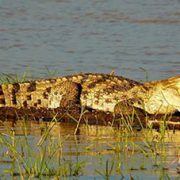 Usually we give the option for you to bring your own sleeping bag if you wish, but you still can hire one from us at a very nominal fee payable once for the whole safari. Your food will be prepared daily by one of our professional safari cooks who also helps in pitching the tents at the campsites as you go on with your game drives the parks, so do not need to stress yourself with questions like where will I sleep or what will I eat. 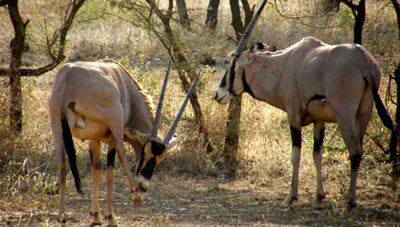 This camping safari in Ngorongoro and Serengeti can be easily combined with beach extension in Zanzibar. If you would like to go for a beach vacation in Zanzibar after this safari, you only need to contact one of our safari experts and we will customize a package that will suit your requirements. We can also easily arrange your airport transfers on arrival and departure as well as accommodation at Arusha before the safari starts and / or at the end of the safari if you need that. We have very nice hand picked hotels and lodges in and around Arusha town that can be nicely combined with the Tanzania budget camping safari. 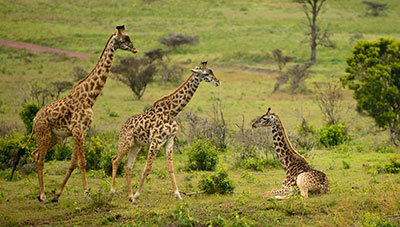 Your 4 days camping adventure safari in Tanzania starts early in the morning from Arusha. 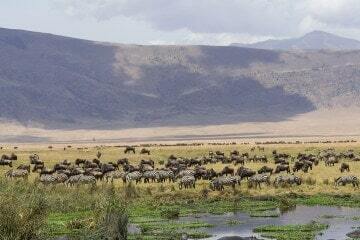 Leave Arusha and drive to Ngorongoro Conservation Area. On arrival at the Loduare gate and after registration you will descend down the Crater Floor. 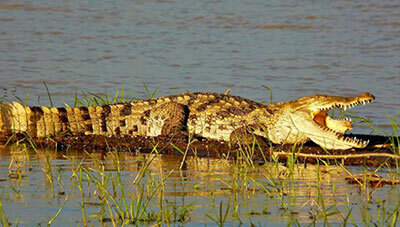 We will do game drives the rest of the day at the floor and have picnic lunch at picnic site at the Hippo poolside. Late afternoon we shall drive up the Crater Rim for Overnight at Simba Campsite. Lunch box and hot dinner included. Ngorongoro – Olduvai - Serengeti. After breakfast at the Campsite we shall start on our way to Serengeti National Park with a brief stop at the Olduvai Gorge an important archaeological site where the world renowned scientist Dr Richard Leakey and his wife Mary Leakey made some remarkable discoveries of a more than a million and a half old hominid that was named, the Australopithecus Boisei. 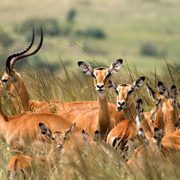 We will have Picnic lunch and continue with game drives inside Serengeti National Park until late afternoon when we pitch tents at Seronera Campsite in Serengeti. All meals included. A full day of game drives in the endless plains of Serengeti searching for animals. Depending on the time of the year you might witness the most amazing natural wonders of the world; The Wildebeest Migration also referred to as the ‘Great Migration’. 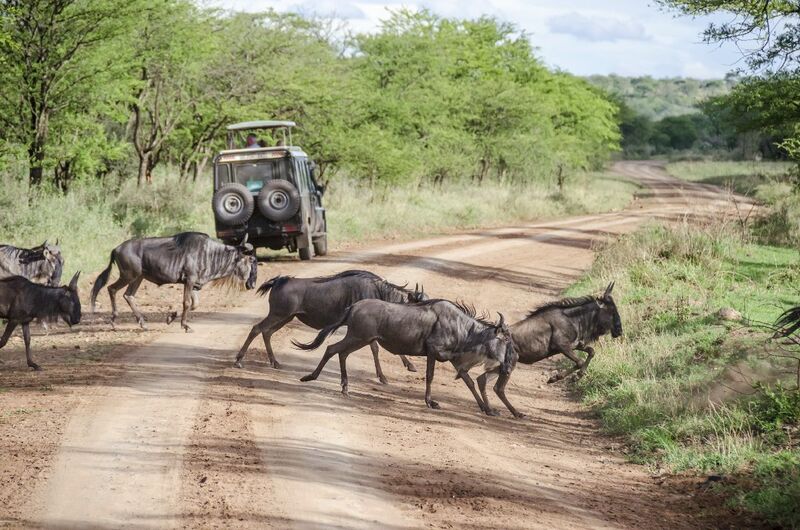 ON this day if you wish you may go for a morning game drive then go back to the Campsite for breakfast. 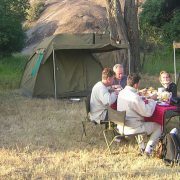 Lunch will be taken at a Picnic site or on top of a ‘Kopje’. Pronounced as Copy these are granite rock out crops in the Serengeti national park that also make a very good site for predators to lay their ambush when hunting. Later in the afternoon you will return to the Seronera Campsite for dinner and overnight. If you wish you may go for an early morning game drives at Serengeti before we embark on our long journey back to Arusha town where the safari ends. Lunch box included. Flights back to Arusha also available if you wish to fly. Please contact us for current prices. End of your 4 day Tanzania Camping safari adventure!